Second SundAZe Family Day @ TMA. The Tucson Museum of Art always delivers, and it's always especially awesome at Second Sunday events, but they've really stepped up their game for the holiday season. AZ Opera will be doing a special performance of The Magic Flute, and Santa himself will be visiting the museum's Corbet house. Jewelry artist Julie Rose is holding a trunk show in the museum store as well. If taking in all of this art has you feeling inspired, you can jump into some of the art-making activities at the museum, including ornaments with Santa pictures, gingerbread houses and paper snowflakes. Fill your heart with art for the holidays! 10 a.m. to 5 p.m. Sunday, Dec. 9. Tucson Museum of Art and Historic Block, 140 N. Main Ave. Free. Sonoran Glass School Winter Open House. If you think looking at handcrafted glass art is exciting and impressive, wait until you see local glassblowers in the act, creating intricate sculptures, ornaments, houseware and jewelry right before your eyes. A narrated demonstration at 2 p.m. will walk you through what these masters are doing, and a series of holiday themed make-your-own experiences will show you how to become a master yourself. For $50, make your own glass ornament in a quick 15/20-minute introduction to the craft (this one gets busy, so try calling 884-7814 to reserve a time slot). Make a snow flurry drink stirrer on the torch at the flame shop for $10, or try out the new fused snowman experience ($15 or two for $25). Get your glass over here! 10 a.m. to 4 p.m. Saturday, Dec. 8. 633 W. 18th St. Free. 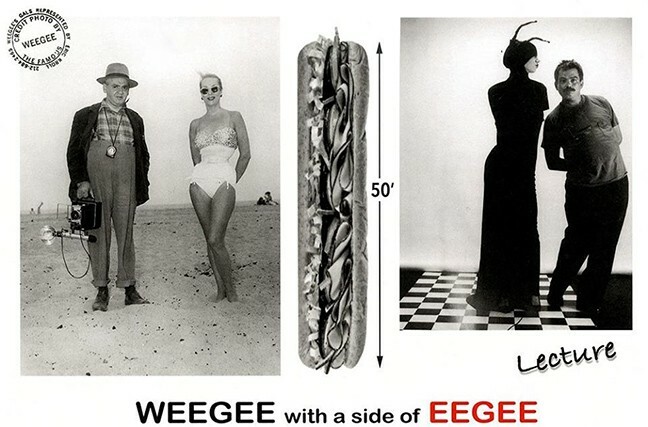 Weegee With a Side of Eegee. It was only a matter of time before this event happened in Tucson. It honors the photographer, photojournalist and Kubrick collaborator and his equal parts iconic and influential black-and-white photography. And it comes with a side of sandwiches and Tucson's signature frozen drinks! Notorious erotica photographer Eric Kroll will be talking about Weegee's time as the official photographer of a New Jersey nudist colony; Weegee's longtime companion, Wilma Wilcox; and his work with Cass Carr and Bettie Page. Kroll will be selling distortion prints he printed from Weegee's original negatives himself—signed by Wilcox and stamped by Kroll. Why would you miss this? 3 to 5 p.m. Saturday, Dec. 8. Etherton Gallery, 135 S. Sixth Ave. Free. 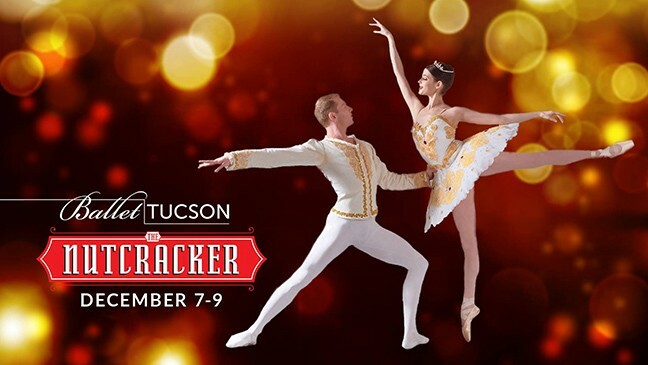 Ballet Tucson's The Nutcracker. If you've got nuts to crack, and if you've got love in your heart for this holiday classic, you'd better head over to go see Ballet Tucson's production of this show. Among many, many other things, the show's original score was notable for its use of the celesta, which is that twinkly, magical, jingle bell-y sounding instrument in the sugar plum fairy's dance. Tchaikovsky discovered the instrument while he was in Paris and decided it was perfect for the show. Of course, it was. And now it's almost difficult to imagine Christmas without the sweet sound of the celesta. 7:30 p.m. on Friday, Dec. 7, and Saturday, Dec. 8. 2 p.m. on Saturday, Dec. 8. 1 p.m. on Sunday, Dec. 9. Tucson Music Hall, 260 S. Church Ave. $30 to $58, with discounts for seniors, students, military and groups. Tucson Girls Chorus: Sounds of Winter. If you caught the Reveille Men's Chorus concert last week, you probably got your fill of rich, low tones. This week, treat yourself to the lovely harmonies of the Tucson Girls Chorus, made up of young women all the way from Kindergarten to 12th grade. Over 200 young performers will be presenting a mix of folk, traditional, contemporary and seasonal music. With so much bad news in the world, their notes are sure to be a sound for sore ears, and the image of hundreds of the young women who represent a bright, beautiful, musical future is enough to make anyone feel hopeful. 3:30 p.m. Sunday, Dec. 9. Fox Theatre, 17 W. Congress St. $15 to $18. Holiday Memories. Desert Voices, Tucson's premiere LGBTQA chorus, is celebrating 30 years of understanding, cooperation, peaceful coexistence and sweet, sweet music. And this is your chance to celebrate with them! Three nights of shows will feature holiday music sung by community members of all creeds, races, genders and gender identities, letting you sit back, enjoy and reflect on all there is to be grateful for. 7 p.m. on Friday, Dec. 7, and Saturday, Dec. 8. 3 p.m. on Sunday, Dec. 9. St. Mark's Presbyterian Church, 3809 E. Third St. $15 for Friday show, $20 for Saturday and Sunday. Signature Selections. Pima Community College dancers have been working throughout the semester on this concert directed by Nolan Kubota. Kubota earned his MFA in dance from the UA, and has worked as everything from a parade performer at Disneyland to a nationally touring burlesque dancer. He brings his range of experience to the show, which features everything from hip-hop, jazz, modern and ballet styles. Pieces are choreographed by both dance faculty and students, for a show that will keep you on your toes—but not as high on your toes as these impressive dancers. 7:30 p.m. Friday, Dec. 7. 2 and 7:30 p.m. on Saturday, Dec. 8. Proscenium Theatre. $5 to $10. Patronato's Christmas at San Xavier. More than two decades ago, Linda Ronstadt headlined at a concert to raise funds for Patronato, a local nonprofit dedicated to restoring and preserving Mission San Xavier. Today, that concert is a much-loved tradition that rings in the holiday season for Tucsonans. The Sons of Orpheus and the Tucson Arizona Boys Chorus will both be performing, and the Dec. 10 performance will also feature the Tucson Girls Chorus and some other special guests. The Monday evening show begins with a 5 p.m. reception at the Arizona Inn, 2200 E. Elm St., before the 7 p.m. show, and tickets are $250. The regular performances are at 6 and 8 p.m. Tuesday, Dec. 11, through Thursday, Dec. 13, at San Xavier Mission, 1950 W. San Xavier Road, and tickets are $100 to $125. Fourth Avenue Winter Street Fair. Go forth to Fourth for a 40-plus-year-old tradition that just gets more fun every year. The artists from all over the world, delicious food and local entertainment draw more than half a million people into Tucson every year, and we're lucky enough to already be here! 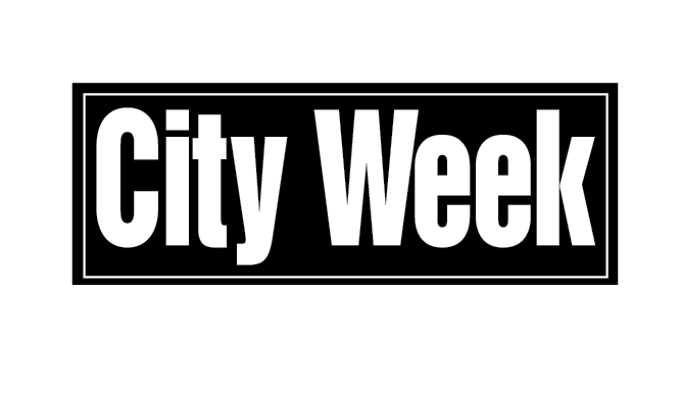 The North Fourth Avenue Merchants Association Inc., a local nonprofit, produces the event, and funds from the day support infrastructure on Fourth Ave, local neighborhoods and nonprofits, and other events on the avenue throughout the year. Get your Christmas shopping, your street food fix and your community spirit on all at once. 9 a.m. to dusk Friday, Dec. 7, through Sunday, Dec. 9. Historic Fourth Avenue, 434 E. Ninth St. Free. Tucson Village Farm Holiday Market. A trip to the Tucson Village Farm, the urban farm centered around teaching young people to grow and prepare their own fresh food, is always a pleasure. But a trip to the farm when there's an artisan fair going on, full of gifts hand-crafted by Tucsonans and delicious seasonal food and drink, is a little slice of holiday heaven. If getting holiday shopping done is more of an obligation than a delight for you, take solace in the fact that you can make marshmallows over a bonfire and sip on hot cocoa after you shop. 4 to 8 p.m. Tuesday, Dec. 11. Tucson Village Farm, 4210 N. Campbell Ave. Free. Monterey Court Artisans Holiday Fair. Maybe you're the type of person who needs a full bar nearby to get through the stress of holiday shopping. If so, this might be the holiday artisan fair for you. Whether you need a hard drink to get you through, a brunch to kick off the shopping festivities or a spot to break for lunch, Monterey Court has what you need. They'll have what you need as far as gifts go, too. With a selection of fabric, glass, jewelry, metal, pottery, wood and leather, you should be able to find the perfect gift. 10 a.m. to 4 p.m. Sunday, Dec. 9. Monterey Court Studio Galleries and Café, 505 W. Miracle Mile. Rally for Vets. HERO Events & Management is putting on their first-ever veteran's event designed to raise support and awareness for local nonprofits supporting veterans. 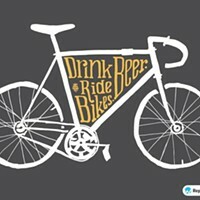 And there's plenty of ways for you to show your support. You could check out the yoga and meditation zone by Athleta, enjoy some live glass blowing demonstrations by the Sonoran Glass School, or if you are brave or young at heart, check out any of the 11 interactive inflatables. Enjoy music by local musicians Caiden Brewer, Andrew Daniel Cates, Clinton Wyatt Smith and Keila Womack. And check out the food and drinks from vendors like Jacki's Food Court, Sarges Cheesecakes, Cupcake Queens and Smoothie Factory. Noon to 8 p.m. Sunday, Dec. 9. Demeester Outdoor Performance Center, 900 S. Randolph Way, $5, or free for kids 10 and under. El Nacimiento. In the heart of the Sonoran Desert lies Tucson. In the heart of Tucson lies the Tucson Museum of Art. In the heart of the Tucson Museum of Art lies La Casa Cordova, the oldest adobe home in downtown Tucson, listed on the National Register of Historic Places. In the heart of La Casa Cordova lies El Nacimiento, the largest and longest-running nativity scene in the Southwest. Artist Maria Luisa Tena put it up in the '70s! It's easy to spend hours checking out all the nooks and crannies of the 800-piece set, which has the grandeur and feel of a Christmas tree. Tucson Museum of Art, 140 N. Main Ave. $12 adults, $10 seniors, $7 college students and free for kids 12 and under, veterans and museum members. Gingerbread House Reveal. It's been a bittersweet year for the gingerbread community, as it always is. After the giant gingerbread house built at the Hilton El Conquistador last year had to ultimately be taken down (the reasons were unclear—did the gingerbread family residents fail to pay their rent? Was there a termite problem? ), this year sees the rise of a new life-size gingerbread house to live in the hotel's lobby through December. At the grand reveal, you can get photos with Santa, see Dr. Seuss' How The Grinch Stole Christmas! in the movie room, decorate cookies and ornaments and even enjoy some light refreshments (no, you can't eat the gingerbread house). 5 to 7 p.m. Thursday, Dec. 6. El Conquistador Tucson, A Hilton Resort, 10000 N. Oracle Road. Free. 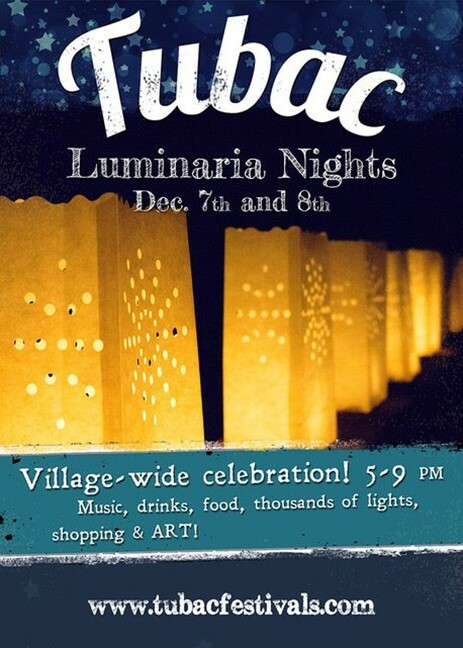 Luminaria Nights in Tubac. Abundant food, warm drinks and artist receptions are staples of the cozy holiday season. But adding thousands of luminaria lights to the mix really levels up any holiday event. Holiday carolers, carriage and hay rides and a Christmas tree-lighting ceremony are like three perfect little cherries on top of this festive sundae. Luminarias were traditionally used to guide people to Christmas mass, and during the final night of Las Posadas. This week, let your GPS guide you to Tubac, and then enjoy the festivities once you get there. 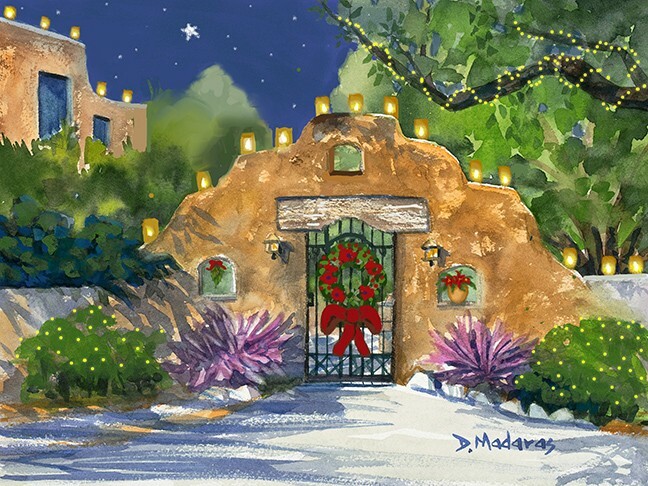 5 to 9 p.m. Friday, Dec. 7 and Saturday, Dec. 8 Tubac. Free. The Polar Express. The Southern Arizona Transportation Museum is the sort of charming little place that feels like it's right out of a children's Christmas book, so it's only fitting that they'd be hosting this reading of one of the best children's Christmas books around. This family-friendly event also features arts and crafts, rides on the Fun Farm Choo Choo and a chance to ring the bell on Locomotive 1673. And it's always fun to stroll through the museum itself, browsing the bilingual exhibits. Treat yourself to some holiday cheer and head on down! 11 a.m. to 12:30 p.m. Saturday, Dec. 8. AMTRAK Historic Depot, 400 N. Toole Ave. Free. La Fiesta de Guadalupe. You're probably overdue for a visit to the DeGrazia Gallery anyway, and there's not really a more fabulous time to go than during this festival honoring the patron saint of Mexico. Mariachi bands, folklorico dancers, the Yaqui Deer Dancers and Domingo DeGrazia's Spanish-guitar band will be providing entertainment, and a Los Posada procession featuring children from Carrillo Magnet School will honor the saint. Local food, local art and local souvenirs are all available as well, so you can fill your tummy and your shopping bags while the musicians and performers fill your soul. 10 a.m. to 4 p.m. Sunday, Dec. 9. DeGrazia Gallery in the Sun, 6300 N. Swan. 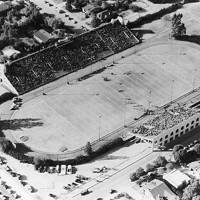 Roadrunners vs. Eagles. The Tucson Roadrunners face off against another aviary team in two home games this week in these games against the Colorado Eagles. Wednesday night is 12-12 Night, where sides and ends seats are both just $12. And hey, the cheaper the seats, the more money you have for food and drinks. Sometimes in the midst of the stressful holidays, or even in the midst of finals week, if you're a student, you don't want winter peace and holiday good cheer—you need to watch a good old-fashioned ice hockey fight. 7:05 p.m. Tuesday, Dec. 11, and Wednesday, Dec. 12. Tucson Arena, 260 S. Church Ave. $10 to $61+. Madaras Gallery Holiday Art Walk. Once you realize who Diana Madaras is, and what her art style is, then you'll be noticing her work all over town, and you'll start to associate seeing her brushstrokes with being in the city you call home. What better gift is there than a little piece of your hometown and your heart? Purchases of ornaments, décor, Madaras' children's book and items like calendars and cards at this event will benefit the Pima Animal Care Center. There's even a plush toy version of Kitty Humbug, a character so cute you'll just have to see it. 5:30 p.m. Dec. 6. 3035 N. Swan Road. Holiday Cards for Prisoners Party. It's the time of year where holiday cards from loved ones are starting to pour in, decorating the fridge, the front door, the junk drawer or wherever you choose to display them. The American Friends Service Committee-Arizona is hosting this event to help bring a little bit of holiday cheer to some of the places that need it the most. Write messages of support to hundreds of incarcerated people in Arizona while also enjoying live music by Loveland, an ugly sweater contest and a coloring book station for kids. If you'd like, let group members help you write letters to state representatives and senators, advocating for reform of the sentencing laws that have left us with the fourth-highest incarceration rate in the country. 4 to 7 p.m. Sunday, Dec. 9. La Cocina, 201 N. Court Ave. Free.